A woman's place is in the White House. Just ask Hillary Clinton! This high quality, honest bobble head stands at about 7.5" tall. 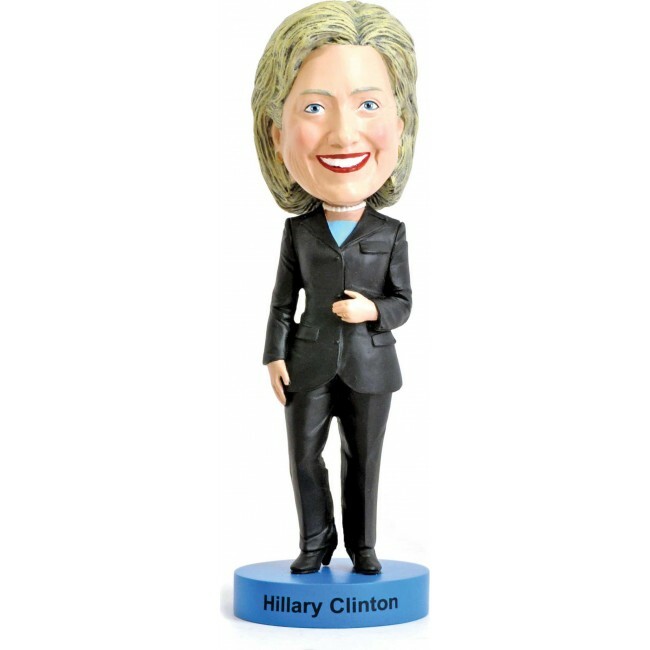 Whether she's your President, First Lady, U.S. Secretary of State, or State Senator, she's a perfect addition to your home or office.